I read Anna and the French Kiss last year and while it was good, I didn’t really get into it. I didn’t get the hype and I didn’t fawn over St. Claire like everyone else did. I’d already bought Lola before I even read Anna but I was a little hesitant to start Lola. But I’m so glad that I did! Right from the start I liked this book so much more then Anna and the French Kiss. I couldn’t put Lola down. I loved the characters and the plot and everything about it. 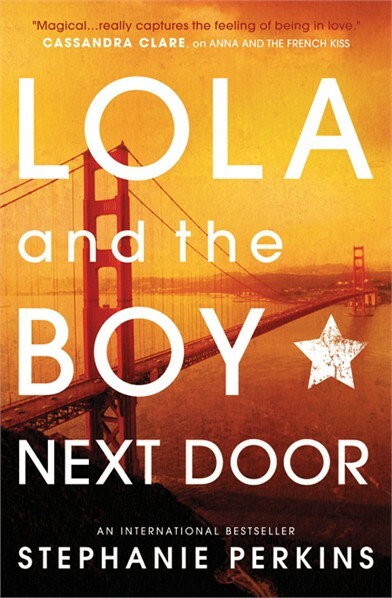 One thing that I wish I could change a bit was how the story was about Lola and the boys. I wished it could have been more about Lola. I wanted it to be about her, not Max and Cricket. Overall, I really loved this book! Definitely one of my favorite contemporaries.